Once found only in neglected bathrooms in run-down restaurants, exposed light bulbs are now a favourite with on-trend designers and home and business owners everywhere. 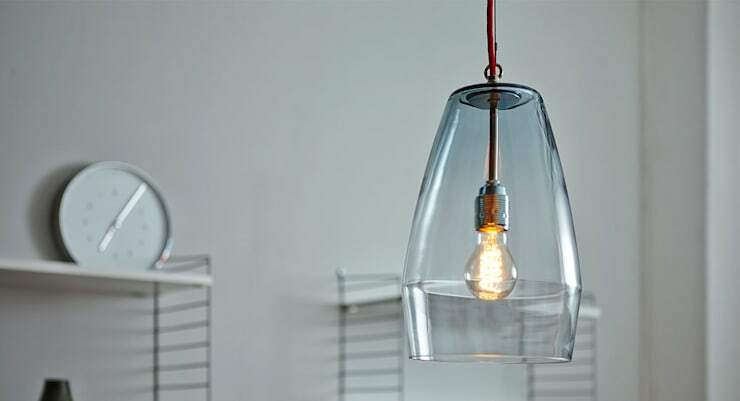 Raw and simple, this lighting option is a great way to bring a little grit into your designs. The key, of course, is getting the level of grit just right; a dull 20 watt bulb dangling unceremoniously from a grimy, once-white light fitting represents a bit too much grit, and grit of the overly gritty variety (we’re back to that decaying restaurant bathroom again). Here are a few examples of just how well this type of lighting can work when it works. If you’re going to go for this look, it’s important to ensure that your exposed light bulbs come across as the carefully considered design pieces that they are rather than the result of decorative apathy. In achieving this, everything comes down to detail. These bulbs nicely exemplify the difference that the smallest features can make. Their lovely two-tone fittings are clearly of a high quality, emphasising the fact that the absence of a lampshade is not a corner-cutting measure in this case. Varying the shapes of the light bulbs is a neat trick too, adding a little character to the overall simplicity of the arrangement. 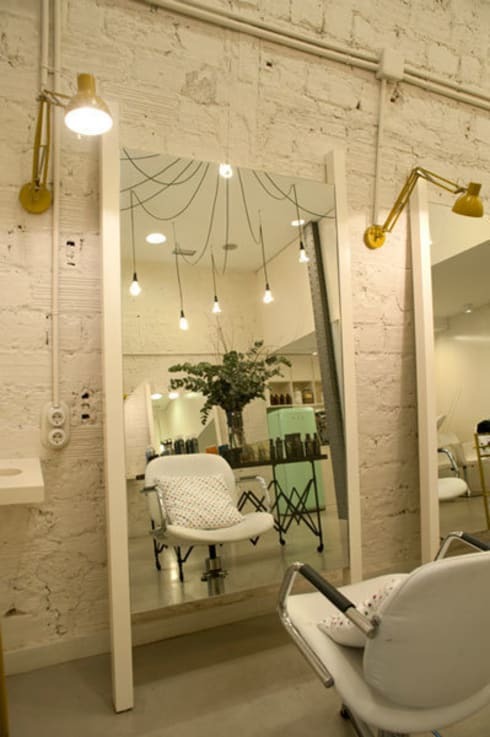 In this salon, multiple light bulbs hanging at different levels emanate from a central point like the legs of a spider. The wires here are as much a feature as the bulbs themselves are. The fact that the lights have not been carefully hung at the same heights creates a careless, “I just woke up like this” vibe (even though, of course, every aspect of this room has been carefully and deliberately organised – that’s why it looks so good). Notice the crumbling paint on the brickwork of the walls, and how well the light bulbs complement its slighlty industrial appearance. Have your cake and eat it with a glass lampshade like this one that still leaves the light bulb inside fully visible. 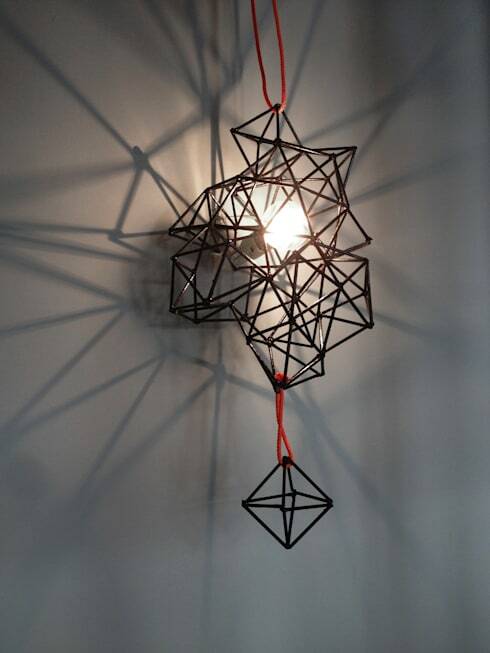 Like the glass lampshade above, these structural, cage-like pieces don’t really do a lot of shading. They do look fantastic, though, and they also offer plenty of scope for customisation. 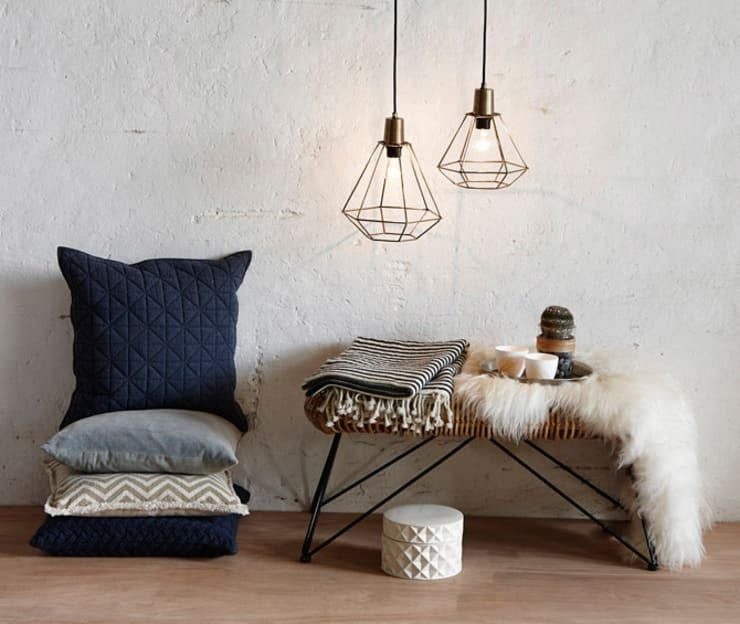 Use several shades of different sizes and hang them at different heights, as here, or keep things simple with a single caged bulb that will serve as a key piece of your décor all by itself. 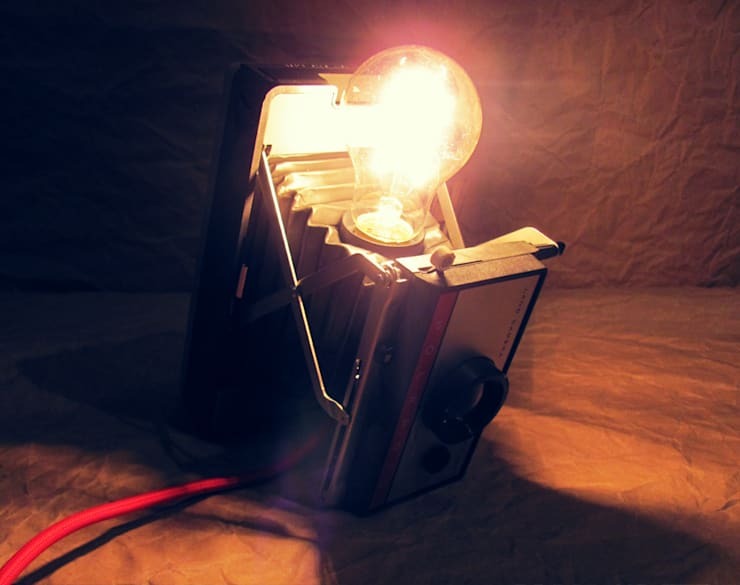 Photography enthusiasts might have found their perfect lamp in this inspired upcycling of a gorgeous vintage camera. If you have a similar camera of your own (one that doesn’t work, of course) this would be very easy to recreate yourself. 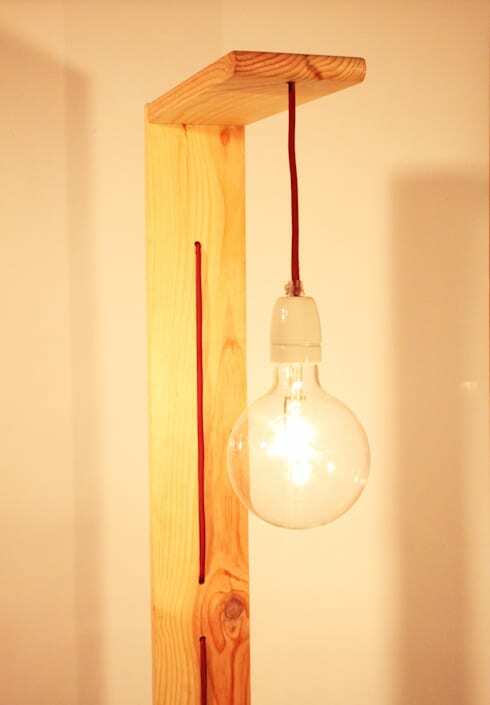 Just make holes in the top and bottom to feed the wire of the light bulb through. This is a completely uncomplicated set-up that is all the more effective for its simplicity. The lack of additional features means the red cord stands out brightly and sharply. 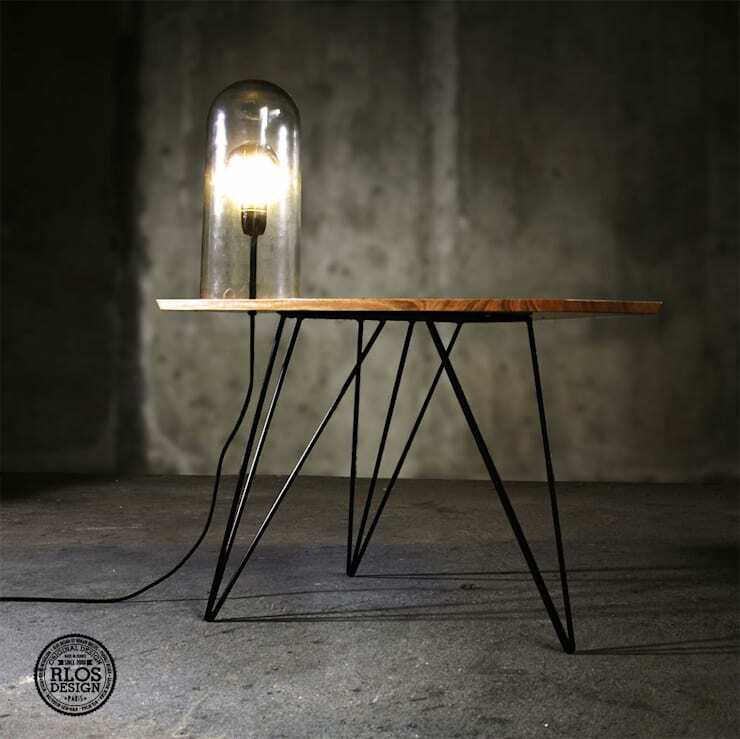 This sleek contemporary table is set off just perfectly by the light bulb on top of it, protectively housed beneath a glass dome to prevent careless fingers getting burnt. 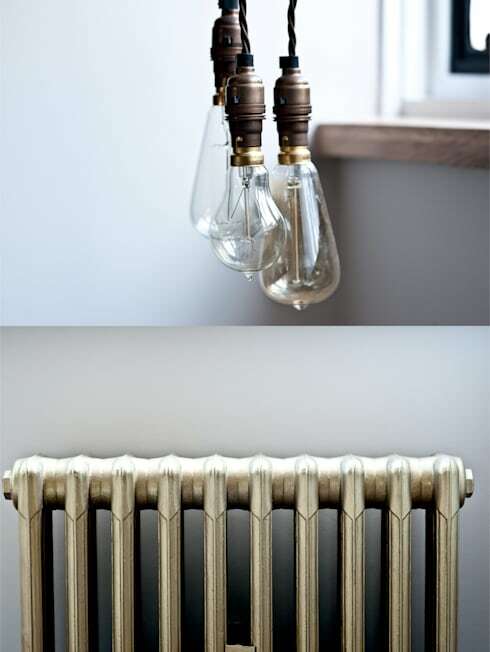 Which of these uses of exposed bulbs is your favourite ?Tell us!